Owner of Quilting by the River, Carla Alexiuk, specializes in teaching traditional quilting, innovative piecing techniques, and creative design principles for every level of quilter. My studio is on the lower floor of our house and is where I relax, create, and work. I have been quilting for over 20 years and have found that teaching is what I enjoy most about quilting. So, for the past 20+ years, I have been teaching both in my home studio and on location for guilds and groups. I hope you will follow me on my quilting journey, as I muddle through quilts and life as a wife, mother, and quilter in Northern Ontario. My classes occur at the intersection of traditional and modern quilting. This creative space is made possible through Deb Tucker’s new ruler series which establishes a firm foundation in traditional piecing techniques and uses innovative design tools to release traditional quilting from the conventions of complicated, strict, and often tedious patterns. Explore my upcoming classes in my home studio, on the road, and weekend retreats! In 2000, I began organizing and teaching quilting retreats under the name Quilting Buddies. Each year Quilting Buddies ran a retreat, I would design a quilt around a specific technique that I wanted to teach, giving students the opportunity to develop their quilting skills and confidence while working on a novel pattern. These retreats spanned two weekends and, in total, were attended by over 80 participants from across Canada. My teaching expanded when I decided to start travelling to international quilt festivals and conferences in the US. Since 2002, I have learned from over 20 different quilt masters and continue to regularly updated my knowledge and skills. Today I own my own small business, Quilting by the River, based in my home studio. Over the years, Quilting by the River has expanded into several different aspects of quilting. I teach 3 days a week to local quilters who come to learn and maintain a sense of community quilting at the studio on a weekly basis. I also teach regularly at the local quilt shops, where I am able to pilot my classes before taking them on the road. When I’m not teaching, I keep busy designing new teaching materials, building samples, and working with my APQS millennium long-arm quilting machine. Finally, because there are few quilt shops in Northern Ontario, my studio doubles as a small shop where I carry a selection of notions, fabric and batting. 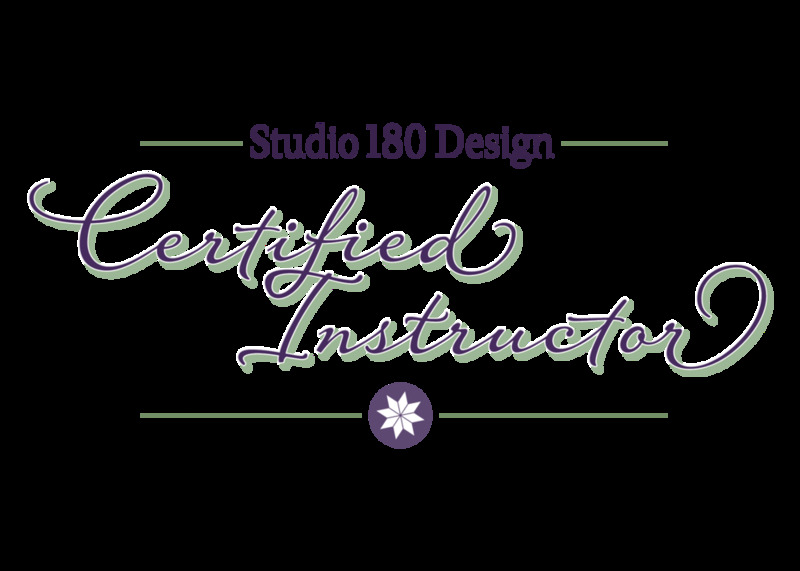 In March 2014, I completed a week-long training course with Deb Tucker in her Pennsylvania studio to become a certified instructor in Studio 180 Design Tools and Techniques. Deb’s innovative approach to traditional quilting resonated with me, as years of tedious, complicated piecing had made me wonder, as it did Deb, “there’s got to be a better way!” Deb’s innovative methods are based on a simple principle - strip piece it, make it oversized, and trim it down to square it up. Perhaps most exciting of all, the Tucker rulers have opened space for traditional quilters to add a modern flare to their designs, combining different pieces and scaling blocks to release creative design potential never before associated with conventional techniques for traditional quilting. My classes now focus heavily on the Tucker Rulers - the methods and design principles behind them, how to use them, how to “Tuckerize” other designer’s patterns, and advanced techniques for innovative quilt design.